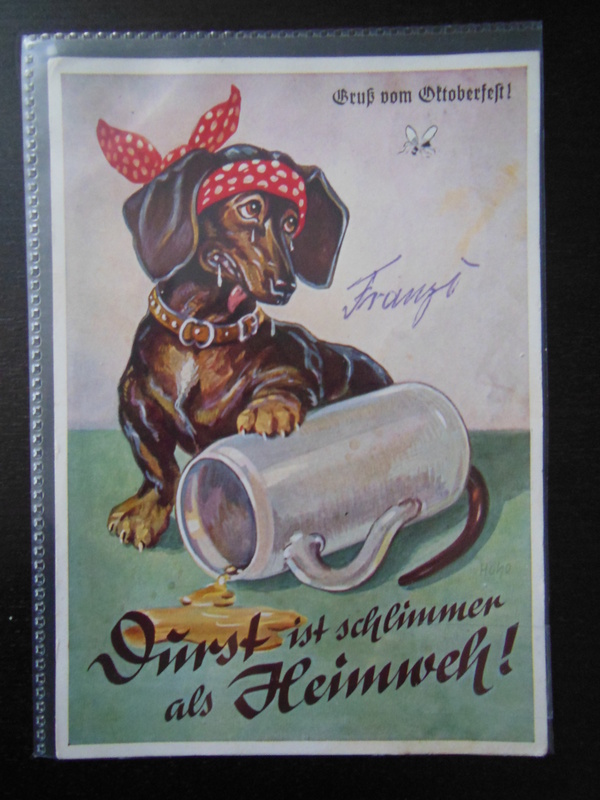 For a fan of both sausage dogs and beer this postcard sent me into a bit of happy, giddy spin. So I bought it. 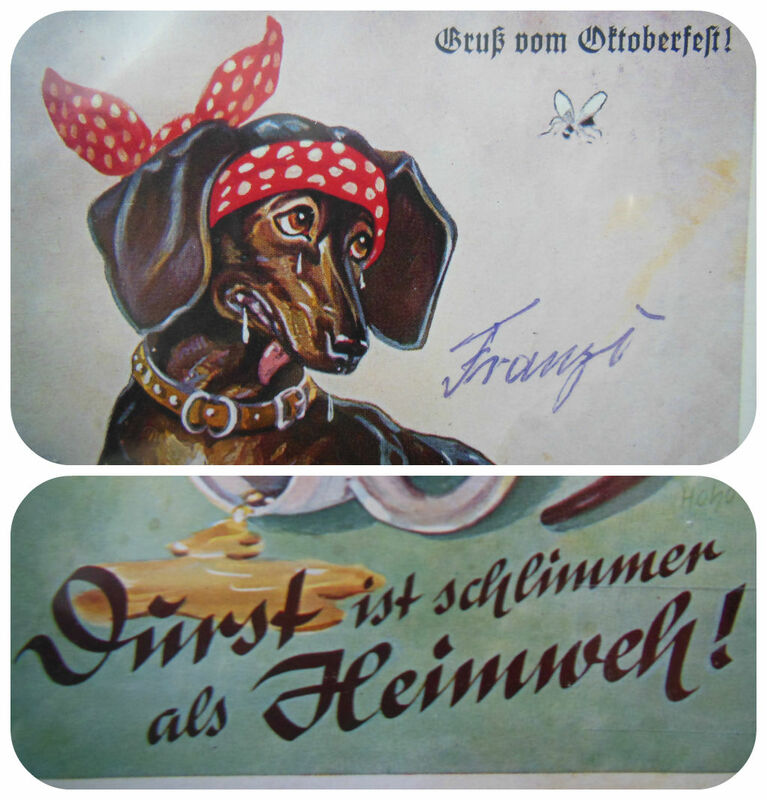 It’s a vintage Oktoberfest card, posted in Munich in 1954 and is an absolute delight to look at, so here it is in it’s full glory! 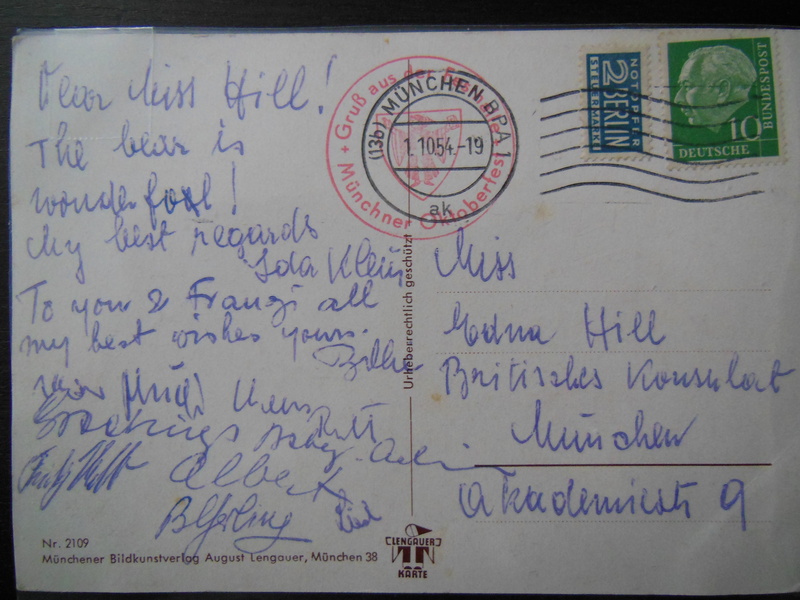 The handwriting on the back is a little tricky to decipher, too many brews perhaps?! I think that beer has been spelled bear but I can’t quite work out what they make of it. Any ideas?